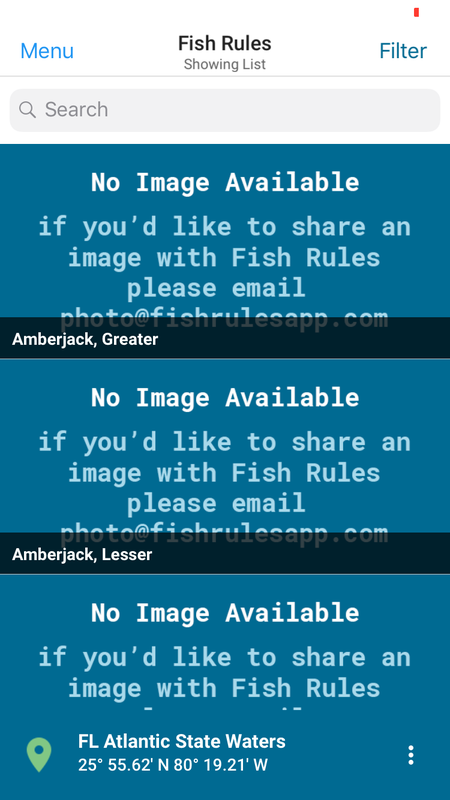 I can't se the fish pictures while using the app, does any body knows what's going on? Mine had to update when I opened it but looks better than before for me. Maybe it was updating when you opened it? Question ? I've been using " Fish Rules" on my I-phone for quite awhile at no charge. I recently upgraded my phone , and now am having difficulty loading the app from the app store. It keeps asking me for "method of payment. The pictures always come up on my iPhone. It's not the app, it's Apple, that requires that you have a valid card on file for purchases, even if the app is free. This is what I got when I open it. Never mind, it's working now, everything good, weird. Thanks guys. there was an older version that no longer updates with the current regulations. I had to delete the old version and install the new version which works like a champ now. If you ever have a issue you can email the creator dr Arrington. Sp? Very nice and helpful person. Been using the app for 3+ years very good tool to have! I would recommend it to anyone who fishes. I see they updated the photos and look of the app mainly. Truth is, it would be better if the photos were more scientific in nature. Fish on a white background so you can more easily discern what you have if you're not sure. On the android version I have the option of photos or list view under "FILTER"